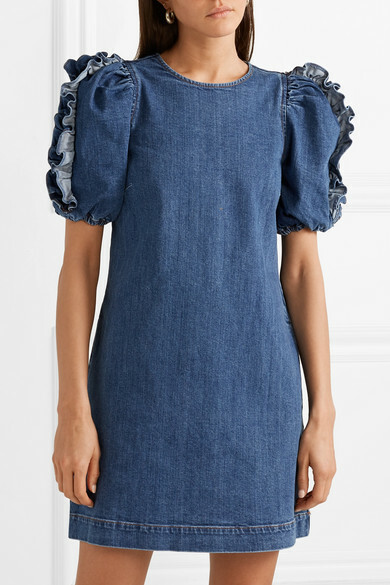 Many of the pieces in Ulla Johnson's Spring '19 collection have a distinct Victorian feel. 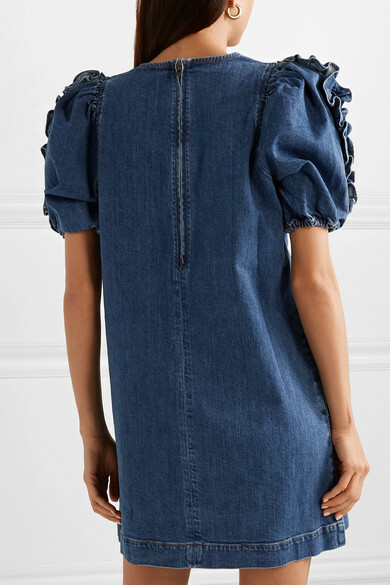 Made from structured denim in a shift silhouette, this 'Poppy' mini dress has puffed, ruffled sleeves traced and elasticated cuffs to add volume. 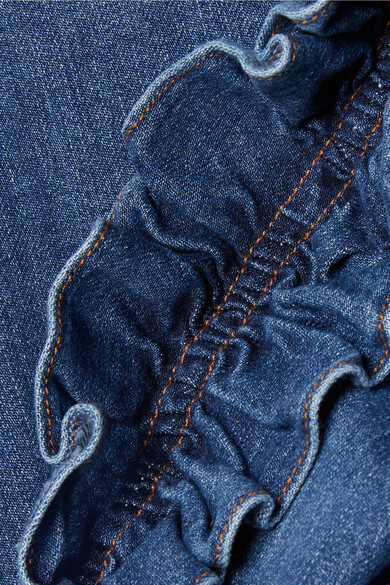 Wear it with sneakers or sandals, slipping your cardholder in one of the convenient slit pockets. 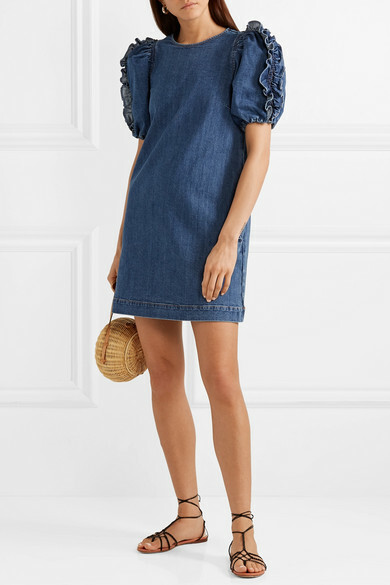 Shown here with: Ulla Johnson Shoulder bag, Francesco Russo Sandals, Leigh Miller Earrings.